The Celtic Rathskallions are currently on a 2-week tour through Eastern Canada and we thought it would be fun to start blogging about Rathskallion adventures. Bookmark our RathBlog page because there’s more to come from RathWendy! A 12 hour drive from Celtic Rathskallion headquarters in Kemptville, ON to Miramachi, NB where we began our 2 week, 14 show tour of the Maritimes. At the 11th hour of the drive (literally!) we were greeted by a VERY LARGE female moose who proceeded to lead the way for a few (very slow) kms along the narrow deserted highway en route to our destination. Our almost friendly moose eventually tired of leading the way, or tired of our headlights shining on her, and decided to try racing my ‘O Maddie’ CRV. 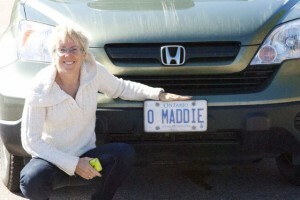 ‘O Maddie’ (yes, my licence plate number and subsequent vehicle name) won and the experience kept us well awake for our last hour of travelling. Hunting season started the next day in NB…we hope that our friend was sufficiently warmed up from our encounter to out run the hunters!